Making kefir whey and cheese is something I do many times a week. 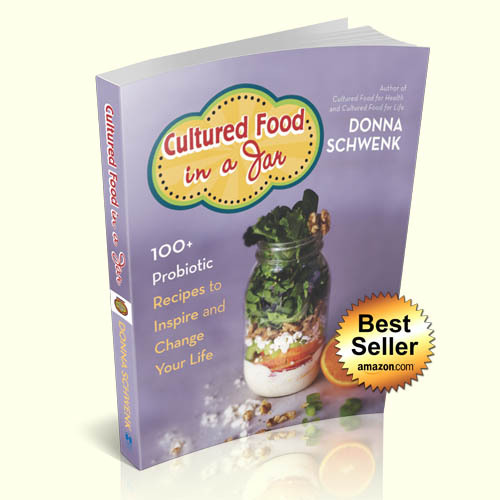 It doesn't take long and the whey will culture a multitude of foods. The whey in kefir has many benefits too, so don't throw it out! 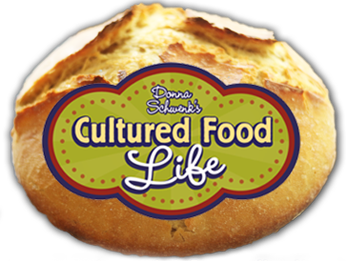 One of the things I hope to accomplish with this blog is to make it easy and commonplace to have cultured foods as part of your everyday life. Let's face it - if it is too hard or complicated most people are not going to do it. 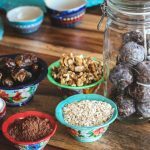 So if I can teach you a few things to make life easier, hopefully, you will start making and enjoying these life-giving foods. 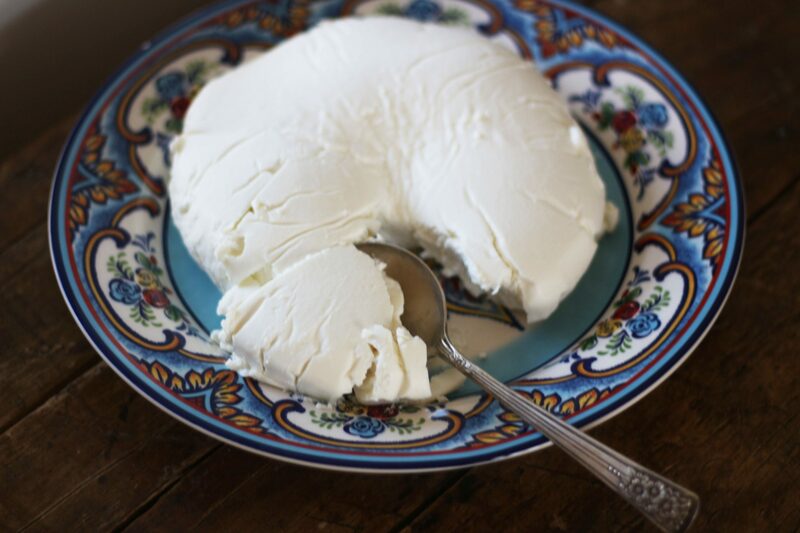 Kefir cheese is easy to make and something you'll want to keep on hand. It can replace sour cream and even cream cheese in a lot of recipes. Kefir has so many probiotics, at least 30, and that does not even account for the good yeast that you get too. 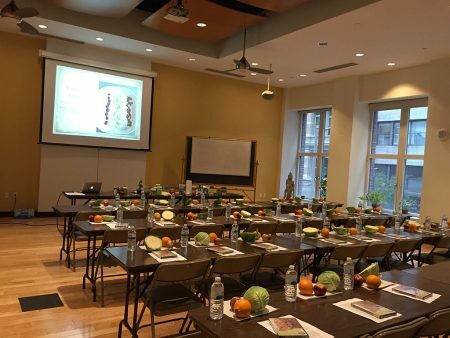 So grab your kefir, a bowl, and a coffee filter and we are ready to begin. Easy, I promise. 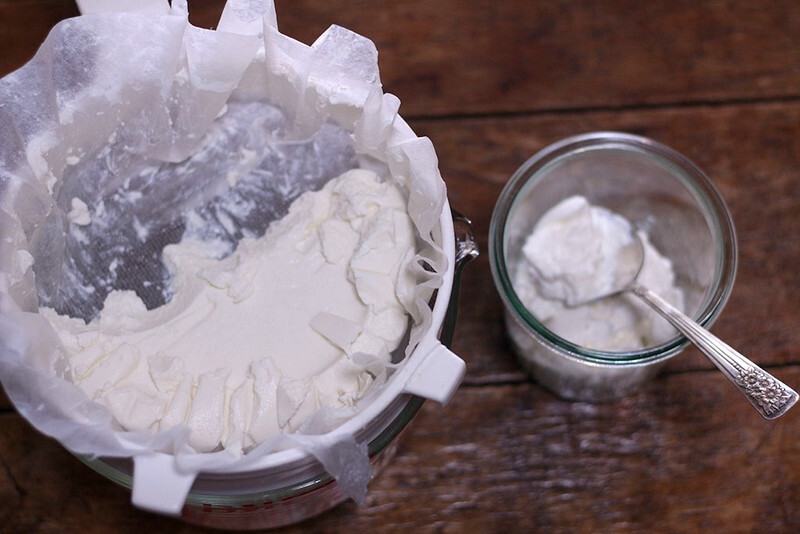 Let's Make Kefir Cheese! Place a basket style coffee filter in a strainer and place the strainer in a bowl. Pour prepared kefir into the coffee strainer. The bowl will catch the whey which is the liquid that will drop through the filter. Cover with plastic wrap and place in the fridge overnight. The next day you will have a beautiful lump of kefir cheese in the filter and whey in the bottom of the bowl. You can let it strain another day if you like the cheese to be denser. 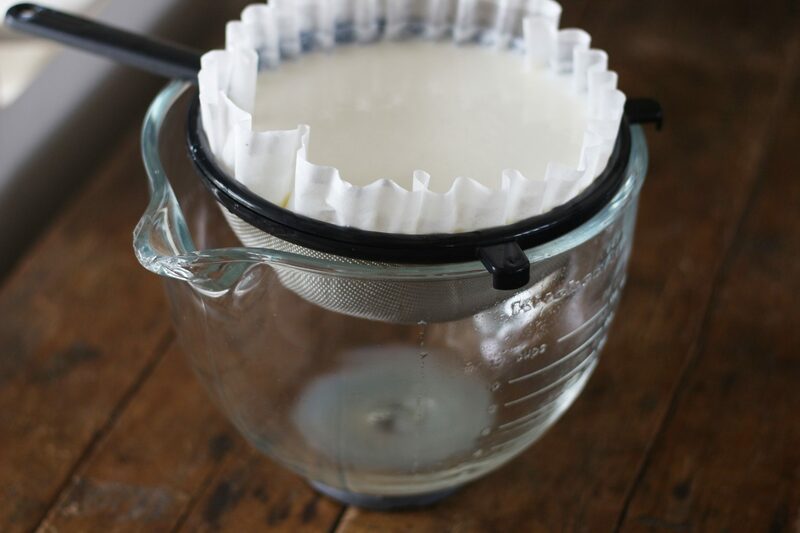 Remove the cheese from the strainer by folding over the coffee filter sides and carefully picking up the coffee filter from the bottom of the strainer. Sometimes the coffee filter can tear or break if you try and pick it up from the edges. Place the cheese on a plate or bowl. You can use the cheese immediately or place it in an airtight container in the fridge. Save the whey that has dripped into the bowl and place it in a glass jar. Store in the refrigerator. 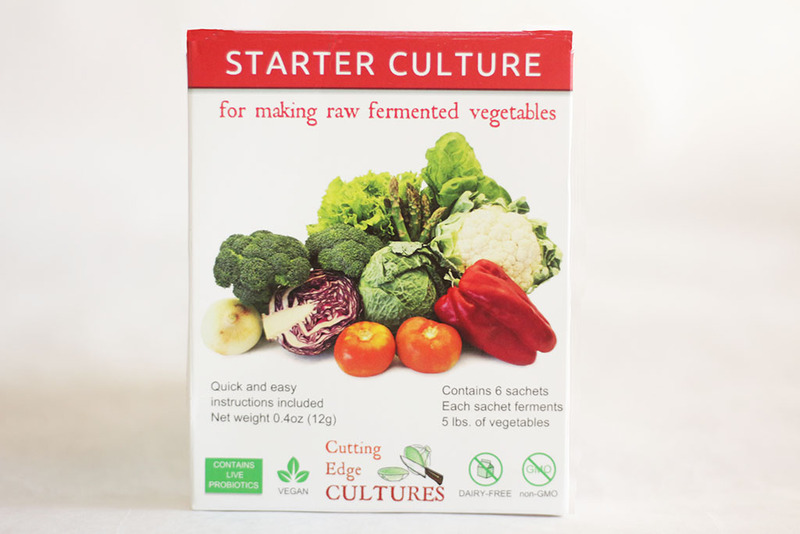 You can use this whey to make fermented drinks or cultured vegetables. 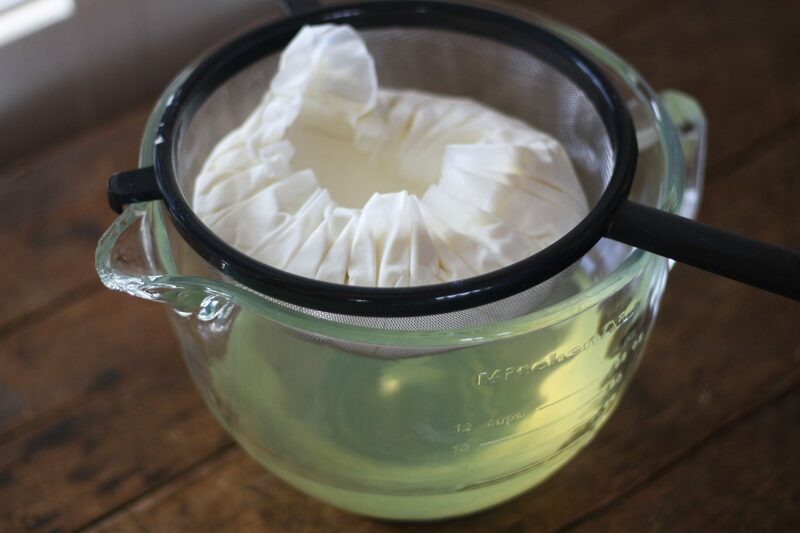 * You can make a larger amount of kefir cheese, but you'll need the bigger 12 cup coffee filters and a bigger bowl. I like to use 1/2 gallon of kefir to make 3-4 cups of kefir cheese. Storage note: Store kefir cheese in a covered container in the refrigerator. It can last for several weeks but will continue to ferment slowly in the fridge. You might get a little more whey leaking out and it will turn more tart tasting. It tastes best if eaten within a couple weeks of making it. 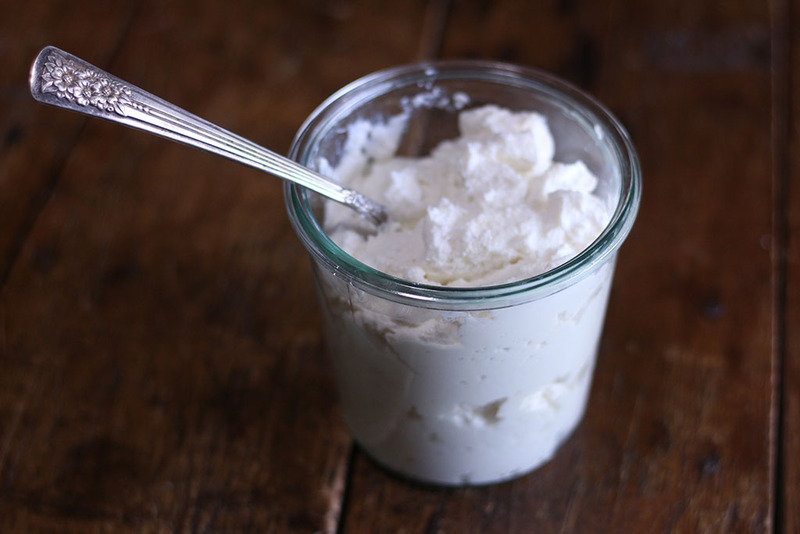 221 Responses to "How to Make Kefir Cheese and Whey"
I am making homemade kefir with grains. I tried my first second fermentation. I left it overnight. This morning, it had fully separated into curds and whey. I stirred it up to remix it before putting it into the fridge, and it VERY think – thinner than the whole milk I use to make it. And the curds won’t fully mix in. After an hour it had separated again. Is it still OK? or do I need to discard this batch? So glad I bought your book a few months back. 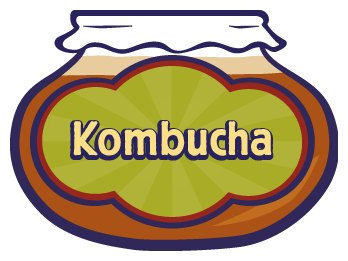 I am loving my kefir and my kombucha! It’s similar to cream cheese although it gets more solid the longer you let it strain. Yes you can drink the whey and the grains won’t be in this when you make cheese as you will have removed them before hand when you made the kefir. 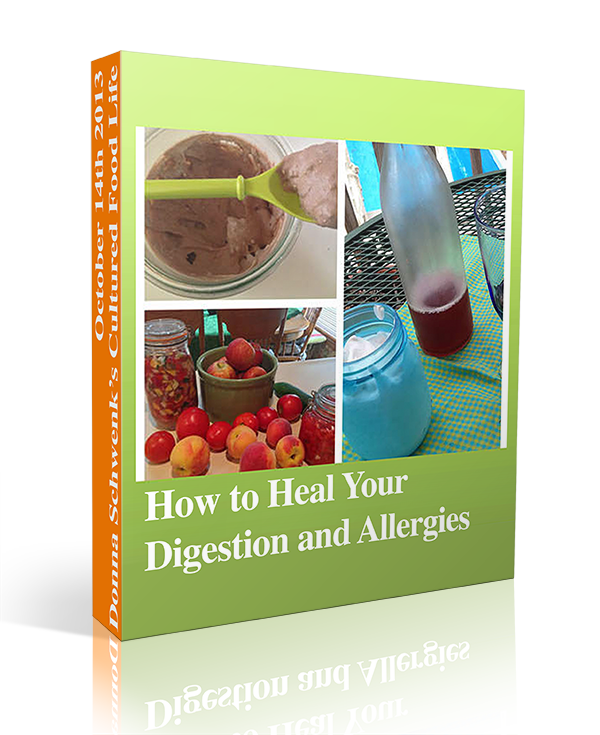 You can sign up for my free ebook at the top of my page to see how to do this or go to culturing basics on the tabs on my website. It isn’t good to leave them in there for 5 days as they run out of food and you will not receive as many probiotics and possibly harm your grains. Yes, you can make kefir cheese but it will taste really really sour since it fermented so long. Yes no worries this is fine to use both milks. Now worries and they love goats milk and will do good! 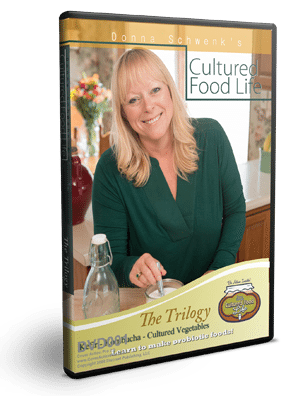 I have wonderful kefir cheese and whey, but I can’t seem to find out how to “culture” vegetables in the whey. Do you just put them in the whey and let them sit there? If so, do you then cook the veggies or eat them raw? What kind of vegetables? I guess I really don’t understand whey! You add the whey to the culture veggies in small amounts and then cover with water. 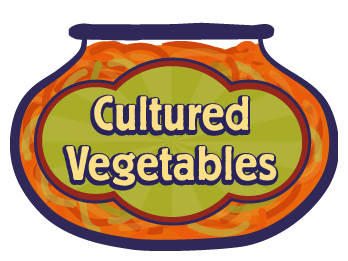 You will see instructions in all my recipes for culture vegetables and tells you what to do and how much to add. Thank you! I apologize for taking so long to get back to you! 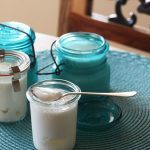 Can you make kefir from raw cream, if you add some water to it? I get raw cream and it is so thick it does not pour from the jar. I want to know how many carbs are left in the kefir made from raw MILK. Can any one tell me? Yes you can make kefir from cream and kefir is only 1 % sugar. 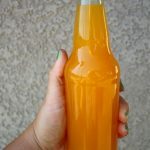 The sour taste you are tasting is the milk sugar that the culture removed and made into probiotics so there is very little sugar if any. I made 2 batches of kefir.Not sure if i should drain the liquid that forms at the bottom or mix both whey and liquid together and drink it. You can just mix it together and drink it. I do this all the time. Can I add Kiefer grains to my store bought yogurt and create probiotics in it from the Kiefer grains? It needs the sugar in the lactose in milk to make probiotics and the lactose is already gone in store bought kefir. 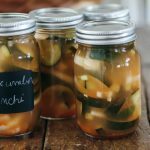 My wife and I are new to fermented foods and are eager to get started. However, my wife is allergic to whey so is this part of the process not going to work for her? Hi Donna, can the whey be frozen? 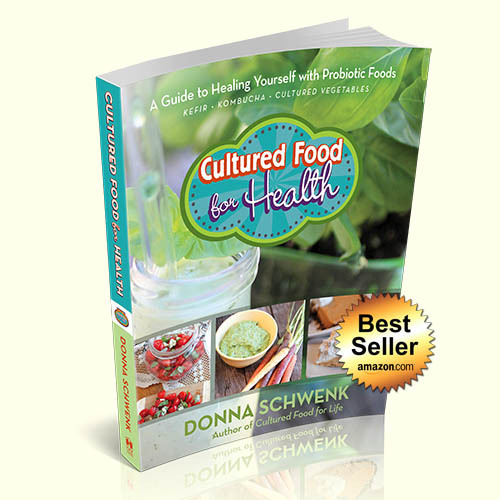 I was thinking of freezing any extra I had in ice cube trays…would that change the probiotic value? You can but overtime it does diminish the probiotics. How long does kefir cheese last in the refrigerator? Months it just get really sour the longer you leave it. Did you use raw milk? The cream in raw milk can get a really yeasty taste so we always remove the cream before making kefir. So when making the kefir you want to put the lid on the jar tight. Instead of rubber banding a napkin over the top. ( or similar method ) I was under the impression that it needs to breath. Second question when making coconut kefir into coconut kefir cheese the same steps are involved? Same recipe so to speak. Also will the “whey” of my coconut kefir be suitable for cultured vegetables? 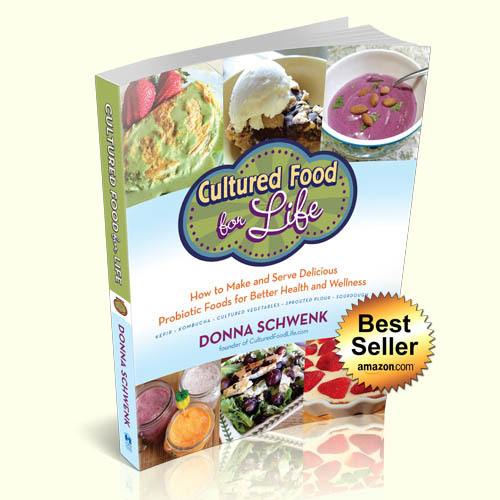 Hi Donna, In the recipe, for step 2 “Pour prepared kefir into the coffee strainer. The bowl will catch the whey which is the liquid that will drop through the filter.” By prepared kefir, do you mean after the first ferment or the second ferment? Also, non-related to the recipe, I’ve read that kefir can be very beneficial to dogs with stomach problems. My dog has a recurring intestinal infection. He is about 12 lbs and I’ve read he can have about a tbls per day. Does this sound right? 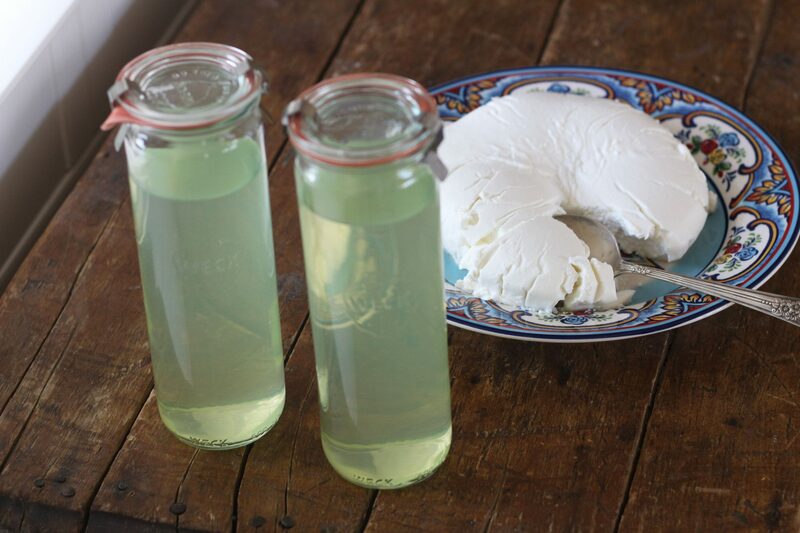 You can use 1st fermented kefir or second fermented kefir to make kefir cheese. Yes, you can even give him about 1/2 cup which is what i give my 12 lb dogs. I have a 70 pound and an 80 pound dog. I started them both at 1/2 cup and now they have worked up to 1 1/2 a day (max). My smaller dog, a German Shepherd, used to get weekly hot spots, always had diarrhea and/or vomiting. It is completely reversed and has not returned. She has been on kefir for about 7 months now. I had no issues getting organic store bought milk to separate into curds and whey but I cannot get organic raw milk to to the same thing. How long should I leave it on the counter? Will it separate in to the clear whey and curds like the store bought did? 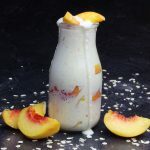 Are you using kefir to separate into kefir and whey? “You make kefir with the grains then take the grains out and use the kefir without the grains to make the cheese.” I am really confused by your statement. I thought the white stuff floating on top was the kefir and the clear liquid below was whey. 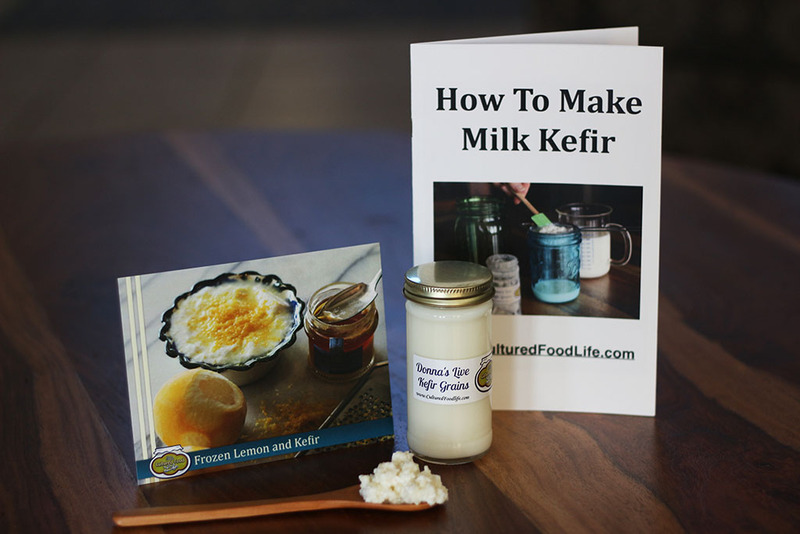 What is the difference between kefir and kefir grains? Are you using kefir grains or are you using the powder version of kefir? I am assuming you don’t have kefir grains? If you aren’t making kefir with kefir grains than this does not apply to you. Kefir is the white stuff floating on top, Whey is the yellowish liquid on which the kefir is floating. When you strain these through a colander the “grains” will be left for you to use on your next batch (add grains to milk and wait). If you want a creamy drink you can stir the batch before straining and drink Kefir Milk. 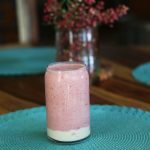 Is kefir whey and yogurt whey the same and can you mix them? 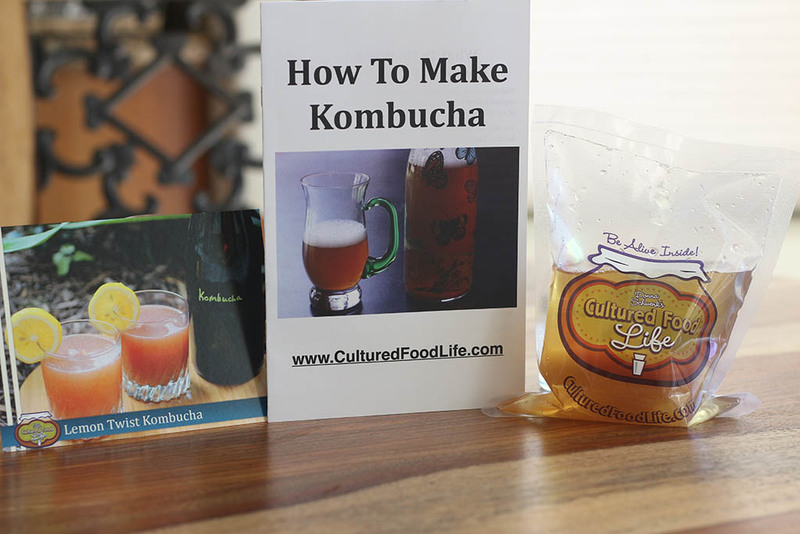 They are not the same but you can ferment them and mix them. Yogurt is not as strong as kefir. Trying my hand at this, for the first time. Will something similar to cheese cloth work for draining purposes? My friend gave me milk kefir grains about 5 days ago that had been stored for a long time in the fridge. I have been feeding it every 24 hrs with raw milk. It has been smelling right and I have been doing 2nd ferments that I love! But when I tried to make kefir cheese, most of it drained below the coffee filter and had no cheese. Does this mean my kefir is not vigorous enough yet? Try letting it ferment longer. Is it getting thick at all? Can I use purchased coconut milk that has been sweetened and added vanilla from the store for the milk making milk kefer? Hi there, love this site so much. Every time I tried to make kefir cheese, I put it in the fridge and wait 24 hours and it’s still very liquidy. Not sure what this means. Using pasturized milk… I was thinking I should maybe let it start to separate into curds and whey before straining, but then it would be super strong tasting. Not sure what I’m doing wrong. Appreciate any help. Thank you. 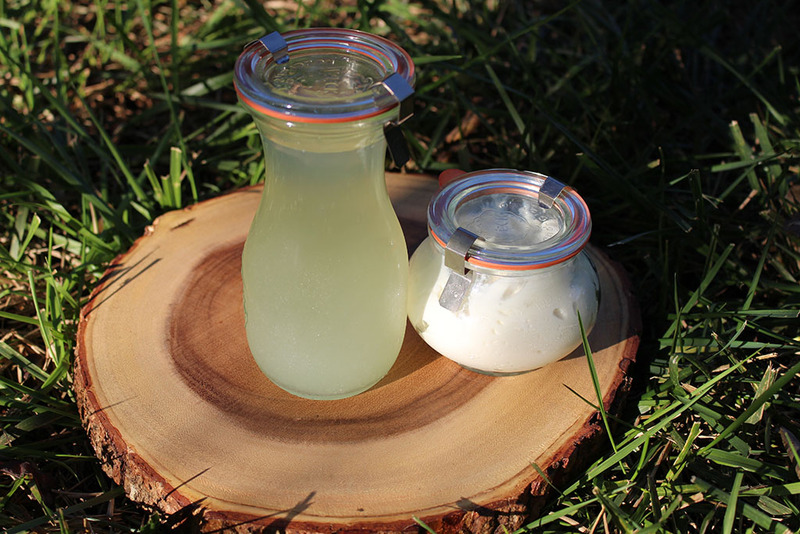 Are you using homemade kefir and how are you making it? The store bought version won’t separate into whey and curds. Try letting it strain for more than 24 hours and that should allow it to drain more. Are you using a coffee filter? Piggybacking on this comment — hope it’s okay! — I have found that when I strain my kefir just for 24 hours, I get “sour cream.” I get “cheese” when I strain for 5 days or so. Does this sound okay, Donna? Yes, the more you strain it the thicker it gets but usally only takes me a day or two. 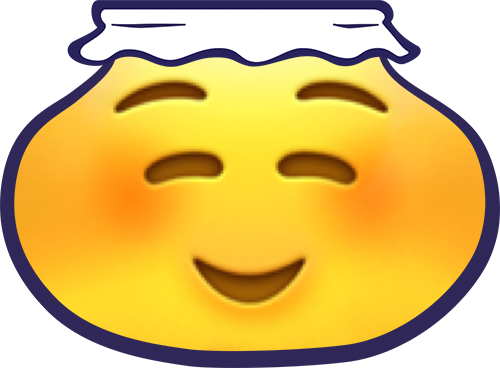 Hi Donna, is it helpful to add any salt to the cheese either during the ‘dripping off of the whey’ and/or while it’s being stored in the fridge? Yes you can do this and it works well. Can you make kefir cheese form coconut kefir?? Donna, so to be clear the kefir needs to separate into curds and whey be for making cheese? I tried making the onion dip and Noone liked it, just wondering if I’m doing it wrong or if it might be the Celtics sea salt I used as it smells like the ocean. Yes it needs to be separated into whey and curds for making cheese. I’m sorry to disagree with Donna on her site, but no you do NOT have to let it separate into curds & whey before making cheese (at least “cream cheese” type cheese. I am not fond of it when it is really tart (the kefir or the cream cheese), and it is too tart (for me & my family) when it has separated into curds & whey. I ferment mine just until it starts to thicken & pull the away from the jar (or just barely begin to show signs of whey forming). And I use this kefir all the time to make “cream cheese”!! It does probably take longer to drain out, but it works, and I MUCH prefer it that way! It is milder, and not so tart/sour!! 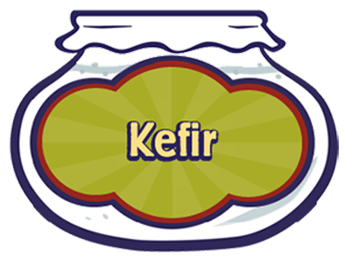 In some places I see that the kefir can sit out while it drains to cheese, but your site says to refrigerate it. What are the rules about refrigerating? Mine sat out for 2 days and all tasted great when it was done, but would like some guidelines for the future. You can do this and its fine, but I like it better in the fridge and it also slows down the loss of culturing which allows for more probiotics. 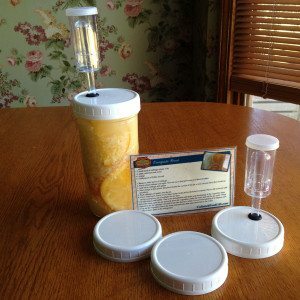 I am new to making kefir and would like to try the cheese. I am confused as to whether I use 2 cups of kefir milk or the mix of the grains and milk? Does the cheese use the kefir grains, or do I strain it first? Thanks! You make kefir with the grains then take the grains out and use the kefir without the grains to make the cheese. My husband was on 2 six week 3 times a day doses of antibiotics plus pills after that. I have kefir grains that I am enjoying making kefir cheese from. so easy. how much should he eat a day. he is healed now after 9 months of the regime. A cup a day is good but build it up slowly. 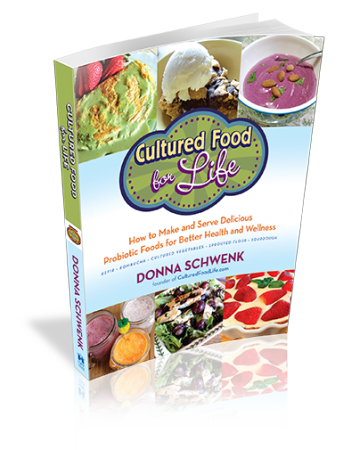 Hi Donna, I love your book and am using it for my new adventure into making Kefir. 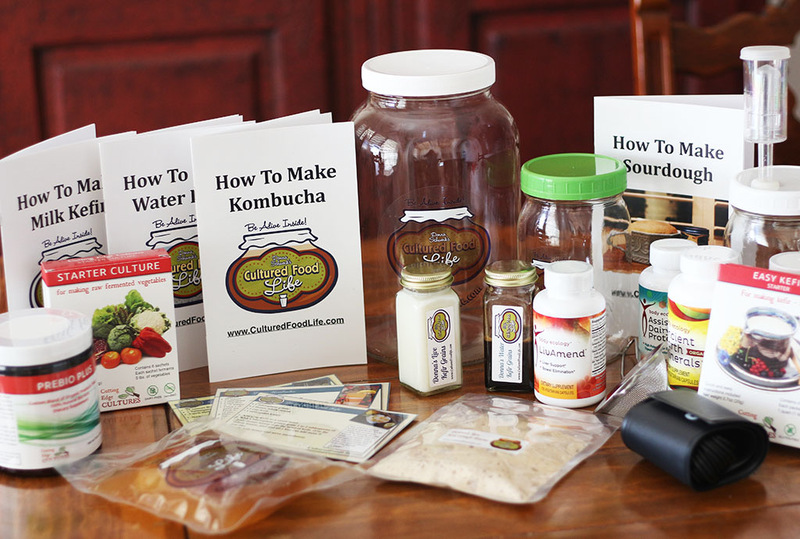 I was having a lot of canker sores, one after another and even three at a time, in my mouth, so decided to start both milk (raw cows milk) and water kefir as well as Kombucha and a few cultured veggies. 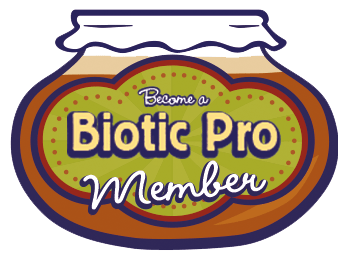 I also take a probiotic three times a day and have for several years. I am wondering how long it takes for all of this to make a difference. I started to feel like I was getting another canker on the side of my tongue last night but it has not developed and is actually feeling better. I started loading up with these drinks pretty heavily on Sept. 5th. figuring that my mouth is part of my digestive tract. 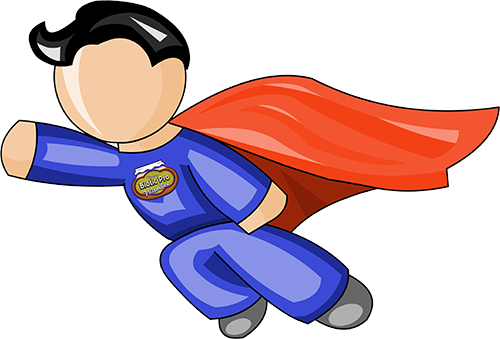 Thanks so much for all that you do to help folks like myself be as healthy as we can be. Try putting coconut oil on those canker sores. My daughter swears by this. For cankers, I find aloe vera juice works great -swish and hold in mouth before bed. Also, toothpaste with xylitol seems to reduce how often they occur. Well the raw milk has good bacteria in it too and competes with the kefir’s bacteria and is probably what your experiencing. Raw milk can differ as to what kinds of bacteria they have and yours might have a stronger strain and is causing the problem. 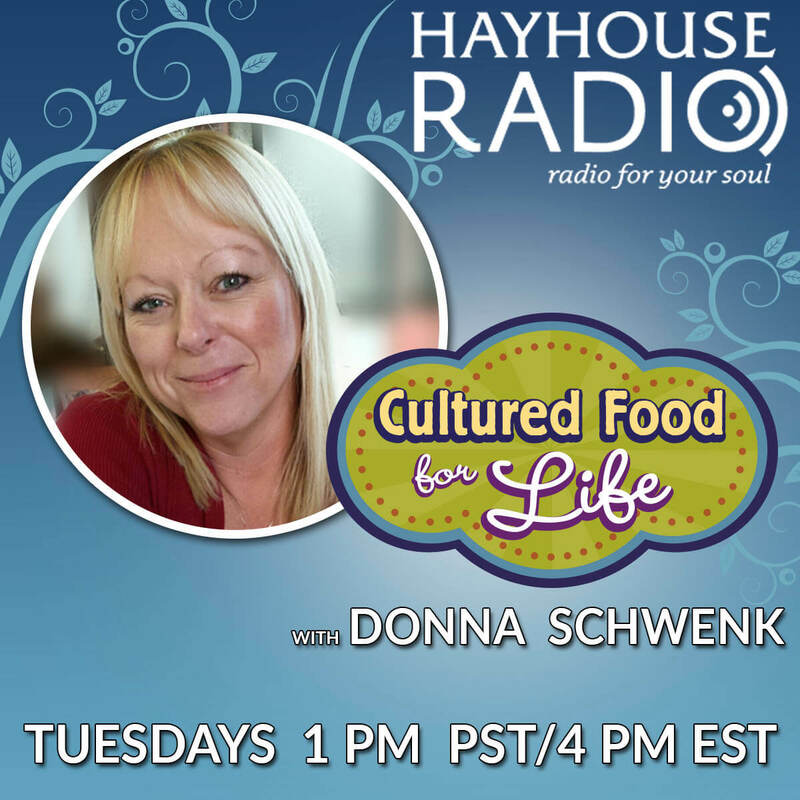 In my experience, my raw milk takes longer to fully culture, like 2-3 days. 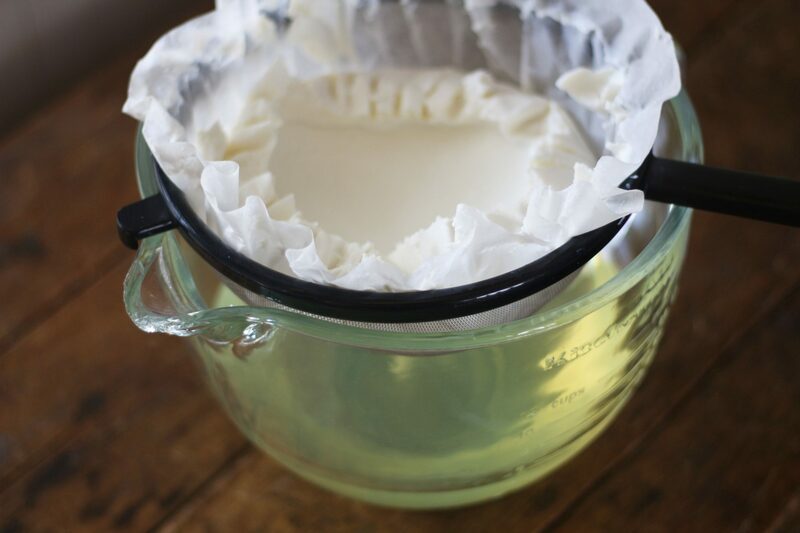 At that time, the curds begin to float above the whey in the jar. When I see that bit of separation, I know we are there. Curiously, the raw milk kefir is thicker and creamier than store bought. I bought two bottles of kefir milk, one regular and one goats milk. I tried them both for about a week but I just dont think my body can do milk anymore. Can I make kefir whey and cheese out of them? I cant do cheese either but my husband loves it. Store bought kefir doesn’t make whey and cheese very well for some reason I am not sure as to why. The goats kefir make make work but I am not completely sure. 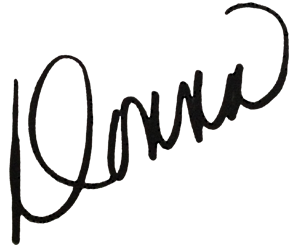 Hi Donna! I have the milk keffir grains _ scobies. I tried to make coconut keffir from a BPA free can of coconut cream and left it to culture for a couple of days.. It separated and went hard the coconut water went to the bottom.. Can you please tell me what I did wrong? Also are the grains known as scobies as well or are they strictly known as grains? You should only let the kefir grains culture for 18 to 24 hours two days is too long and will over ferment. Put them in fresh milk and try again. I have made kefir cheese 3 times this week. So, today I made ranch dip. It was a big hit with my picky husband and son. they loved it! I also used kefir cheese in my beef stroganoff in place of sour cream, that turned out great as well. I am so happy that I am finding ways to get my family to eat this stuff. cover and refrigerate for several hours prior to serving to allow flavors to meld. 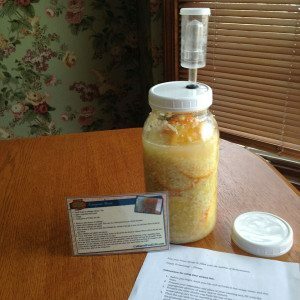 Can you use 2nd fermented kefir? 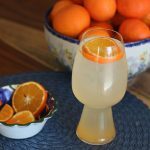 Yes, you can use 2nd fermented kefir. It came out very creamy! If I make cheese with milk that I have left out on the counter too long and it has separated into curds and whey…. will it come out more like a ricotta cheese? (Crumbly)? When I make kefir I leave it until it has separated into curds and whey, I assume this would be the same thing as the above and fine to use for cultured vegetables? Also, how much kefir whey would you use to make a 1 litre jar of cultured vegetables? Thanks. Hi there. 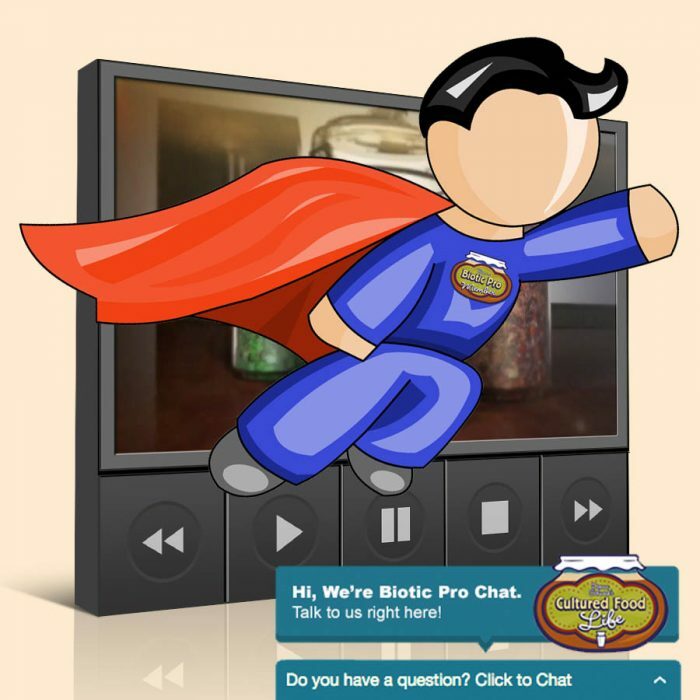 I was doing a search online on ‘kefir cheese’ and came across this site. 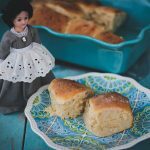 Your recipe and instructions are clear, simple and basic, which i (and it seems most others on here) can relate to. Question: could i buy an organic kefir yogurt at the supermarket and then use it in your recipe instructions for kefir cheese? Organic is important, for what i want to do with it, so please give me your feedback. Thanks much, in advance! Yes, you can use ones at the store and Greek Gods has a really good one. Hi and thanks for your prompt reply. So i would purchase the store-bought kefir and use it in your recipe above, where it says, “Pour prepared kefir into the coffee strainer.” The ‘prepared kefir’ is the kefir i bought, correct? And as per this recipe, i’d use 2 cups? 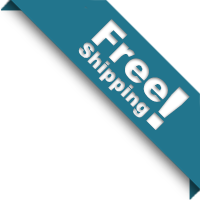 (what size kefir container should i buy in the store?) Sorry if the questions seem obvious, i am completely new to all of this! Thank you. Oh my gosh it is so easy. I have not done it yet cause without the picture it looked more complicated in my head but now it is all clear and I can’t wait to do it!!! Especially cause I want to do cultured vegetables with the whey. Thanks dona!! I have your book and love it!! Your website is amazing too. Thanks for sharing cultured foods. There were the missing link to healing my skin. Now my skin is perfect and everyday I am so thankful to have heard from you and those cultured food. You can use it on your face and I have done this with both kefir’s many time. I have been making kefir for about 2 mths now from your grains and loving it. I had to go away for the weekend so put the grains in about 2 quarts of raw milk and put in fridge. I was gone for 4 days. when I got back I put the grains in new milk but what do I do with the milk they were in for 4 days. Its not thick but very thin. Is it usable? You can use it like buttermilk in any recipe. I know you said not to use store-bought kefir, but I buy mine from a local natural-foods store. 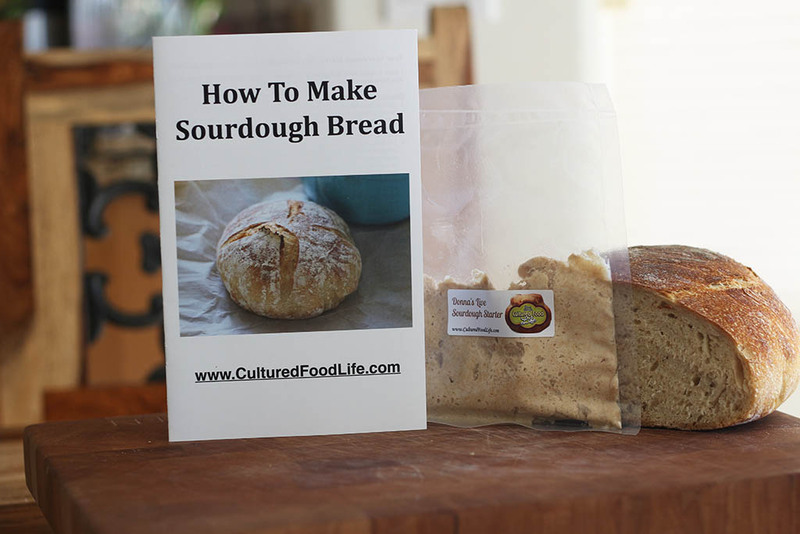 They buy it from someone who makes it homemade in small batches. It’s not pasteurized, or anything like that. Will this work? I just don’t have time to make my own kefir. Also – is kefir whey similar to whey made from whole-milk yogurt? Will they work the same? Thanks! Yes, homemade will work. It’s just the commercial brand lifeway that doesn’t work. I tried kefir cheese, but after 24 hours, it’s very much liquid. I used the 1 tb kefir grains to a cup of milk ratio, it stays around 70 degrees in the cabinet, and I waited 24 hours. It has that yeast fresh bread smell. Did I get poor grains? BTW, it was from a friend of a friend of a friend…..
What kind of milk are you using and are you straining it in a strainer? 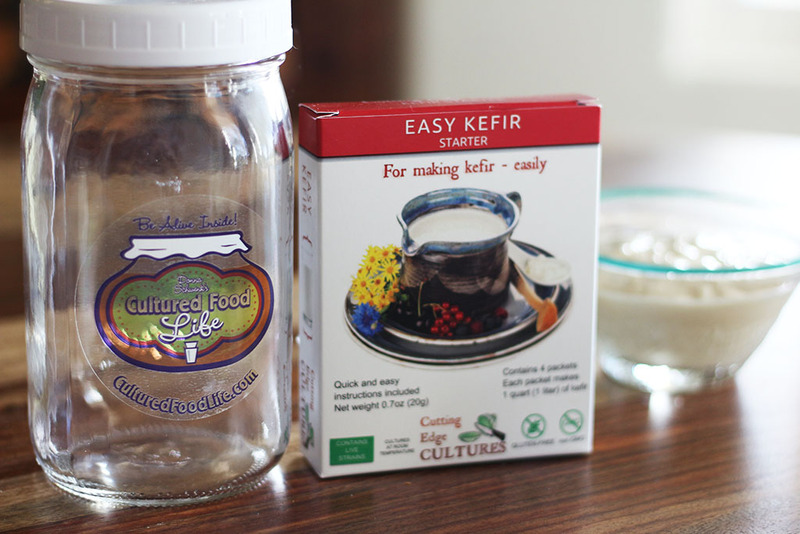 Are you using a lid on your kefir or a cloth? Pauline, I have an overload of estrogen too. Last year we purchased goats for the purpose of raw milk. I do milk while they are pregnant (not the last couple of months though). My hormones have leveled off quite nicely for the first time in over ten years! I do not feed them anything that has soy (a big estrogen factor), corn or wheat. Maybe getting milk from a soy free herd may help? How long will kefir whey keep in the fridge? It can keep at least 3 to 9 months in the fridge but gets really sour. 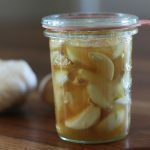 If it gets sour as it sits, do you have any recommendations about length of time before you do probably do not want to use if for culturing veggies? Yes, you should use this within a couple of days of making it. 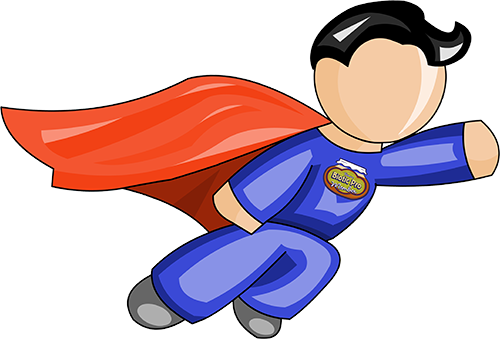 My daughter’s doctor has told her to avoid all dairy due to the presence of estrogen in the products (in the North American dairy industry, cows are milked while pregnant … thus the dairy products has the cow’s estrogen in it). My daughter has a severe hormone imbalance with estrogen dominance and has been trying unsuccessfully for almost 2 years to balance her hormones. Do you know if the probiotics in kefir will consume this estrogen thus rendering it more safe for her to consume? Well I am not sure about this but I do know they remove pesticides and other pathogens but I am not sure about estrogen. I use raw milk from a local farmers who does not use these practices.There are many farmers around the country who do this and you can find them at realmilk.com You can also make coconut kefir if you are concerned. I just found out today that raw carrots have a special fiber in them that gets excess estrogen out of the body. They need to be eaten raw with or without the peel and preferably on an empty stomach. No baby carrots. 1-2 medium carrots per day is good.